Enjoy an evening of live entertainment while you ring in the New Year in the Washington, D.C. area. Here’s the schedule of musical performances and live theater. 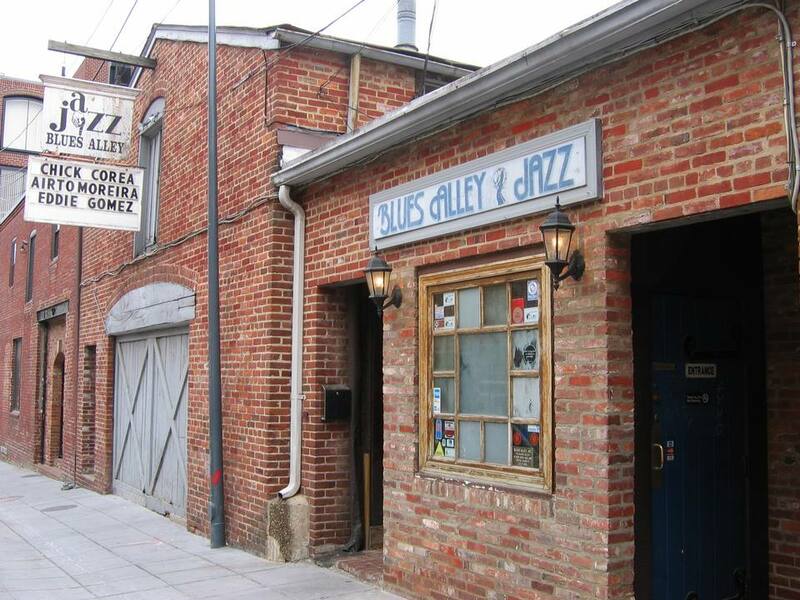 Blues Alley: 1073 Wisconsin Ave. NW, Washington, D.C. New Year's Eve with the Cyrus Chestnut Trio. There are two shows on New Year's Eve. Admission includes a three-course dinner, dessert, non-alcoholic beverages, and champagne by the glass, plus hats, noisemakers, tax, and tip. The Theater at MGM National Harbor: 101 MGM National Ave., National Harbor, Maryland. The Hamilton: 600 14th St., NW Washington, D.C. Gypsy Sally's: 3401 K St. NW, Washington, D.C. Celebrate New Year’s Eve with everyone Orchestra. Doors open at 7:30 p.m., with the show at 9 p.m. This event is 21 and over. 9:30 Club: 815 V St. NW, Washington, D.C. Celebrate New Year's Eve with a performance and complimentary champagne toast at midnight. Doors open at 9 p.m. Tickets: $75. Woolly Mammoth Theatre: 641 D St. NW, Washington, D.C. Its New Year's Eve party and performance occur at 9:30 p.m. with champagne at midnight. Maryland Live! Casino: 7002 Arundel Mills Cir., Hanover, Maryland. Rock the night away at an all-inclusive bash a with an open bar, hors-d'oeuvres and champagne toast. Attend a concert at Rams Head Live. Celebrate the arrival of the new year in different exotic locales with themed entertainment and prize drawings. Bethesda Blues & Jazz and Supper Club: 7719 Wisconsin Ave., Bethesda, Maryland. Celebrate with a New Year’s Eve Party featuring Doc Scantlin & His Imperial Palms Orchestra. The evening includes a four-course dinner with dessert, wine, drinks, a champagne toast, noise makers, balloons, and party hats. DC Blues Society: Cissel-Saxon American Legion Post 41, 905 Sligo Ave., Silver Spring, Maryland. The New Year's party includes a traditional southern-style dinner, party favors, midnight champagne toast, and a cash bar. The State Theatre: 220 N. Washington St., Falls Church, Virginia. The Legwarmers perform at this 21-and-older show. There are no dining tables or reservations available for this show. Doors open at 8 p.m., and the show starts at 9:30 p.m.
Lansdowne Resort: 44050 Woodridge Pkwy., Leesburg, Virginia. Ring in the New Year with a live performance in the spacious Resort Ballroom. Overnight packages are available and feature an open bar, dinner, midnight champagne toast, and late-night food presentation. If you're looking to ring in the new year in Washington, D.C. in other ways, such as with a romantic dinner or family-friendly activities, there are other events available.